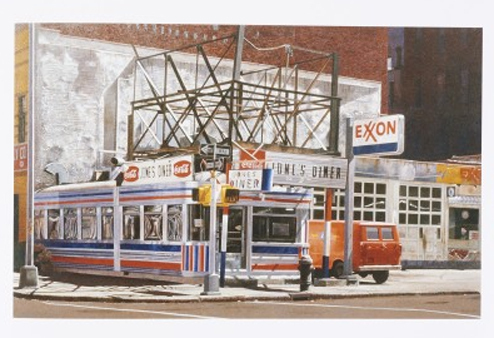 A new monograph on the photorealist painter. 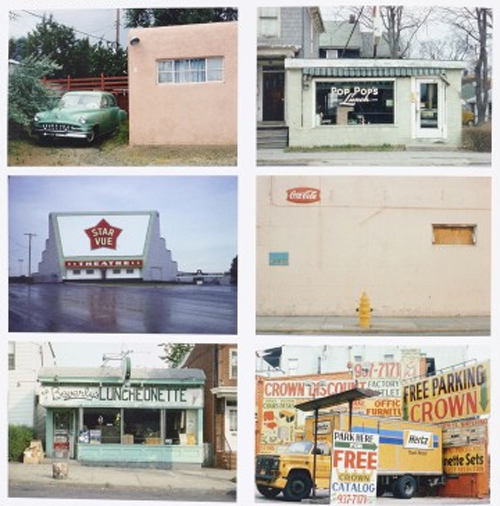 Over 300 color illustrations. 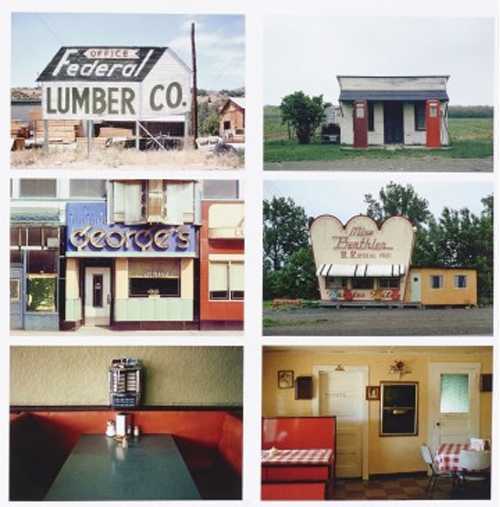 A fascinating trip through the evocative remnants of a vanishing America, this book is also a portrait of an artist who has captured the nostalgic essence of what's been lost. 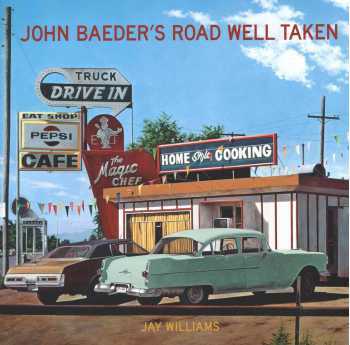 In 1972, John Baeder (b. 1938) left a career on Madison Avenue to become a full-time painter, gambling his livelihood on art dealer Ivan Karp's evaluation of his first four canvases: a diner, a motel, a gas station, a tourist camp. Based on color postcards in his growing collection of roadside memorabilia, they launched a career that put him at the forefront of the growing photorealist movement. 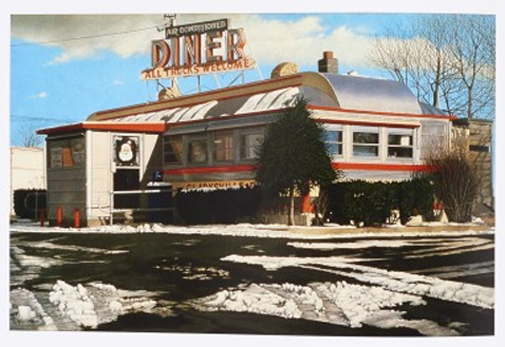 Baeder's paintings, particularly of classic diners, were an immediate success, and he scoured the country for prime examples to document before they disappeared. 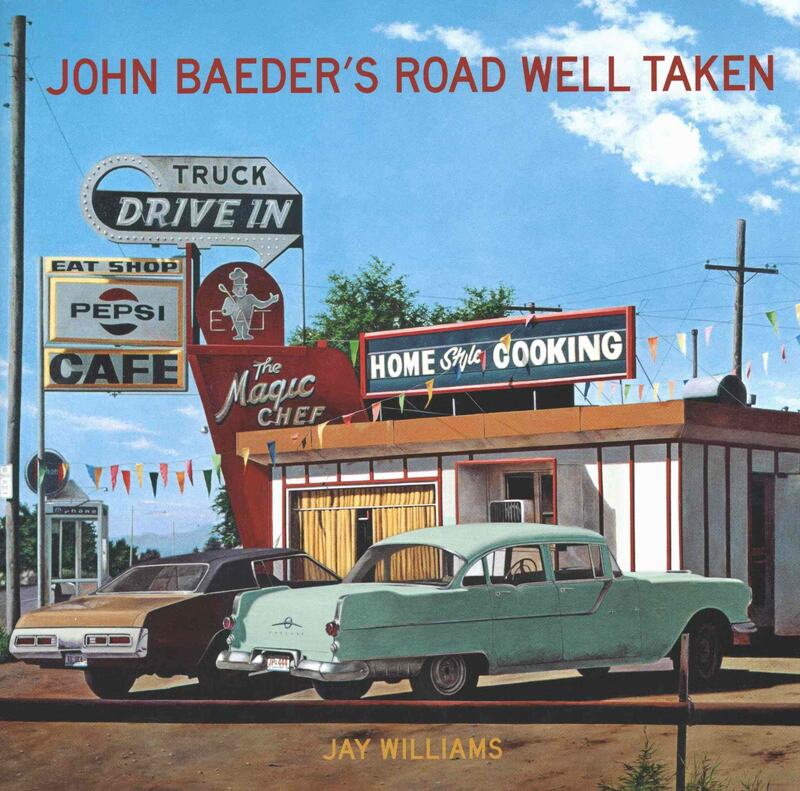 Here, Jay Williams recounts the inside story of Baeder's multifaceted career. With more than 300 illustrations of his highly collectible paintings, watercolors, vintage photographs, printed ephemera, and three-dimensional memorabilia, this is an artist's journey, traveled along the back highways of the United States.